Now this is a clever and unique idea! 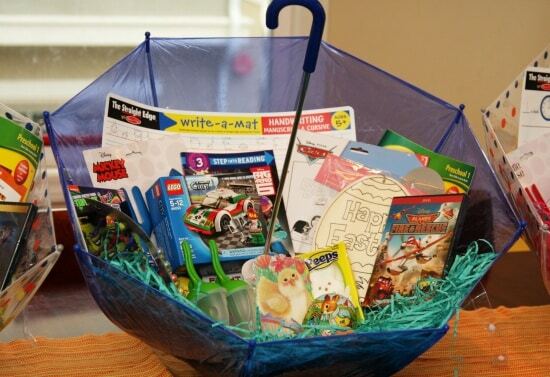 I know my oldest would love to receive an Umbrella as his “basket!” I love how Barb incorporated useful items such as a placemat, reusable Popsicle molds and an Easter craft. This would make any child excited Easter morning. This is my absolute favorite idea yet! 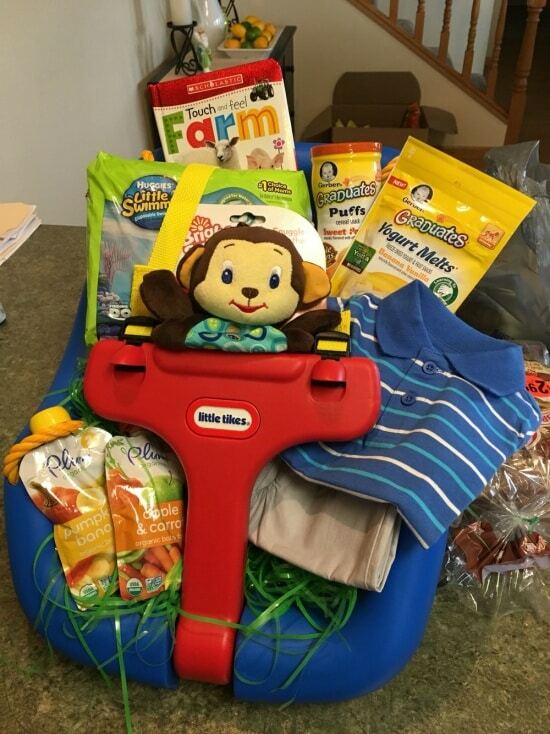 Each Spring my boys always receive a new pair of rain boots so why not make it even more special by filling it with goodies! 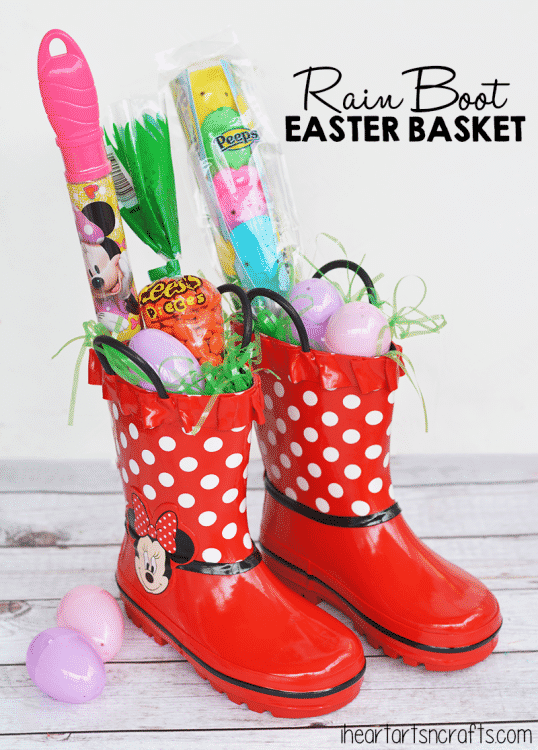 Bubble wands are always a must and of course some fun treats like Peeps, Cadbury eggs and jelly beans. Another treat my boys like are those fun peanut butter Easter eggs! 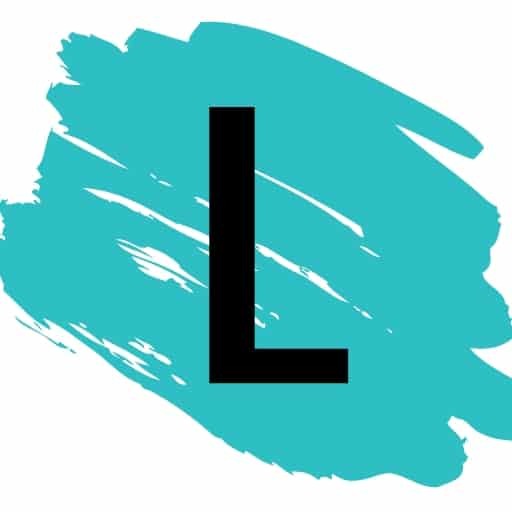 Zappos is my go to whenever I purchase shoes for the boys because they have one day free shipping and free return shipping!